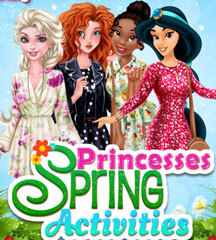 The princesses are happy because the exams are over and they can finally relax. It's spring break and these beautiful girls don't want to miss any of the college parties. 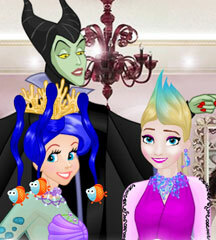 Join them in one of the cutest dress up games! 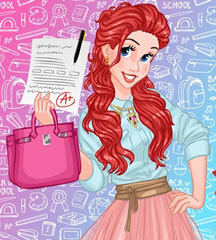 You will have the chance to explore college fashion and invent a new look for each princess! 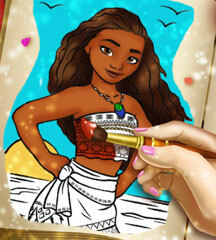 First, the girls are going to the beach, so you should choose some swimsuits for them. Tie their hair up, so it won't get in the way! In the evening, the girls will need your dress up tips again. They are going to the club and they need some stylish clothes. 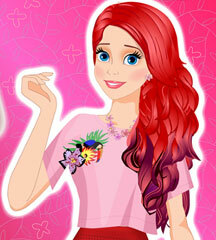 Try some glittery dresses with elegant jewelry items and cute handbags. The princesses will appreciate your help!